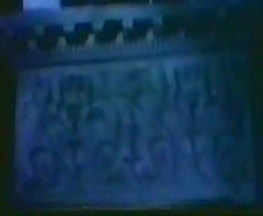 At 1:34 in the episode, there is some kind of strange writing or runes on the windowsill of Dracula's den. 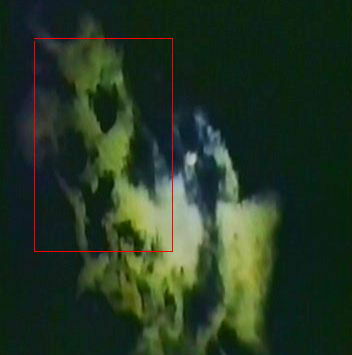 Maybe it's just my imagination, but the cloud pattern at 8:05 in the episode, highlighted below, looks like the top portion of a human skull, with the lower jaw missing! Kurt mentions Cardinal Richelieu. Richelieu was consecrated as a Cardinal in France in 1622 and soon became King Louis XIII's chief minister and is considered to be the world's first Prime Minister. This week's cliffhanger: Curt falls from a great height towards sharp, iron rods! When Donner and Tara make their escape from the pit, why is the corridor filled with foamy bubbles?! When the Partisans bring Donner his whip, they refer to it as his "lost snake." To send sound and images down to Thorval in Chimera, the Phantom Riders use the visilink transmitter...giant earmuffs! This week's cliffhanger: Billy is caught in an avalanche of boulders! This week's chapter has a semi-jungle music theme instead of the normal one. When the African game warden threatens to arrest Susan for poaching, she says, "Well, the never arrested Stewart Granger!" Granger (1913-1993) was a film actor and popular leading man from the 1940s-1960s, often known for playing adventurers. At 37:43 in the episode, Bobby reads the headline from the New York Dispatch newspaper, apparently the full name of the newspaper for which he and Susan work (previously we knew it only the the Dispatch). The New York Dispatch was once a real weekly newspaper as far back as the mid-1800s. 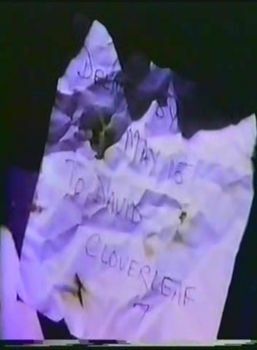 In the burned out structure of Parnassus Imports, Susan discovers a scorched note: DELIVER BY MAY 15 TO DAVID CLOVERLEAF. May 15 is, of course, the specified day that will "stun the world" as stated in Episode 1. 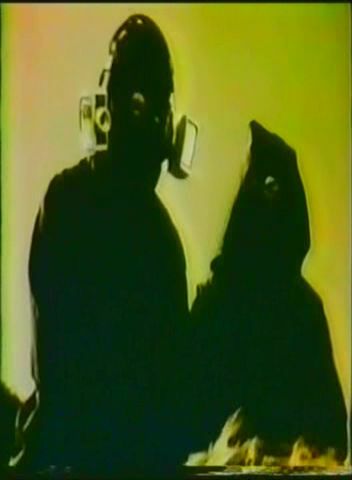 This week's cliffhanger: Susan and Bobby are trapped at the bottom of an elevator shaft as the elevator descends from the 8th floor to crush them!